The odious Martian globe; note the eerie redness of its vegetation. No one would have believed in the early years of the twenty-first century, that this world was being watched keenly and closely by intelligences greater than man's and yet as mortal as his own. That as men busied themselves with drinking, masturbation and channel-hopping they were scrutinised and studied, as a man with a laptop computer might scrutinise the naked women rendered onscreen. With infinite complacency men went to and fro about their little affairs, serene in their assurance of their empire over matter. Few even considered the possibility of intelligent life on other planets, perhaps because it had seemed so scarce upon our own. And yet, across the gulf of space, minds that are to our minds as ours are to those of MySpace users, regarded this earth with envious eyes and charged genitalia. And slowly but surely, they drew their plans against us. It seems so strangely apt now that Mars was named for the Roman god of war. Mars to the Romans, Ares to the Greeks; if alive today he would surely be Nelson, and also if the British Empire adopted a heathenistic polytheism, Heaven forbid. Of course, the Bard asked "what's in a name?" Maybe nothing, maybe everything. Could the war of our two worlds, in which one - ours - was devastated, have simply been an attempt to justify that appellation to the rest of the universe? And what of its colour, also? Red, like the rust of a dying automobile. Red, like the scorched remains of a razed planet. Red, like the bloody tide that followed them across two-hundred-million miles of void and crashed across the innocent beach of our world. Red, like the boiled, devoured lobster this Earth has metaphorically become in their wake. How could such a portentous crimson globe breed anything other than a race of warmongering, sand-eating killing machines? When the Marsmen came we were little more than mindless barbarians to their disciplined centurions, our largest cannons mere bows and arrows against the lightning. The human race was crushed, like biscuits under a speeding train. Long has it been purported that life exists on that remote desert world. However, those who voiced the hypothesis were generally dismissed as madmen, or worse, science fiction writers. My good friend and respected-astronomer Ogilvy assured me on many occasions that we were quite safe, and that nothing could survive in the barren canyons and poisonous canals that make up the Martian surface. "The chances of anything coming from Mars are a million to one," he said. "The chances of anything coming from Mars are a million to one"... but still, they come. The clues were always there. What sensible man can forget the Face of Mars? That visage of a lost creed. Those empty, dusk eyes, staring down at us, coveting our lush green demi-Eden. Watching us, and laughing as we explain it all away with foolhardy excuses like "camera trickery" and "inexplicable mass hallucination". Ogling our inculpable wives when they privately undress and looking over our shoulders as we enter our secret pin numbers. We should have known all along that the Marsmen would one day come and claim these things for their own. O, my beloved Carrie. Like the sun through the trees you came to love me. Like a leaf on a breeze you blew away. Like a common whore you are now ravished by green-skinned strangers nightly. If only we had heeded the words of those supposed madmen! If only we'd paid more mind to that David Bowie song! I could barely believe my own eyes, and not just because they looked like superimposed aluminium discs. 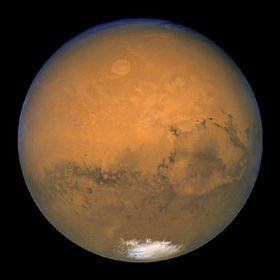 At midnight on the twelfth of August, a huge mass of luminous gas erupted from Mars and sped towards Earth, like a vast interplanetary act of flatulence. Then came the first of the missiles that were to bring so much calamity to Earth. At first we thought it an ordinary firework, likely set off by some youthful ne'er-do-well from the East End, but next day there was a huge crater in the middle of the Common. 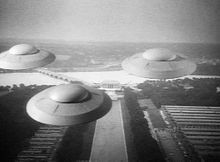 Then came the saucers. Thin circles of metal resembling pie-trays, slicing through the ionosphere like a hot knife through a pig's face, sending forth rays of heat so intense that anything caught in their path was diminished to cinders - cottage and manor house alike. It killed without apartheid - burning richmen and beggars with equal vehemence; doctors, lawyers, policemen, ice cream men, pavement artists and ladies of the night - all turned to ash. Soldiers and gangsters were as helpless as the rest of us. As sure as Mars' two moons are hideous and malformed, we were already beaten. The great exodus of mankind had begun. I made for London as it is where my sweet fiancé Carrie did roost. Plus everybody was going that way, and I thought at the very least my comrades would absorb portions of the Martian's fray from myself. Alas, it was too late for Carrie. I spent the next week thereabouts cocooned in her apartment, living off her tins of catfood - and later - her cat. All the while, through the gap in the curtains I watched saucers zapping tanks, beaching submarines, disintegrating armies and yo-yoing the Pope. Oh the hilarity... That is to say; the humanity. Our women on the other hand were treated decently... Well, those who enjoy being sexually humiliated by perverse starmen were, at least. Science fiction always made us believe that, when aliens came, it would be healthy ordinary men making love to green-skinned women, not t'other way around. This distortion of our hopeful forecast seemed almost homosexual in its profanity. Tentatively I walked, unkeen to happen upon any of the dragons scientists believe inhabit Mars. And with that the 'Marsmen' set about making our world like theirs. Despite the devastation, from a scientific perspective there was much to marvel at. Finally, after years of gazing through telescopes, and biding our time to hear back from barely-mobile Mars Rovers, this was our first chance to see the alien landscape that had so long been obscured by the dark vaccuum it was clothed in. It was like Google Mars in 3D. The next day, the dawn was a brilliant fiery red, for the vegetation that gives Mars its red appearance had taken root on earth. 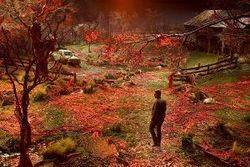 As man had succumbed to the Martians, so our land now succumbed to the red weed. Now one of scant survivors, I took some of the crimson herb for my pipe and went for a stroll through the now lurid streets. It twisted and changed around me as though I was dreaming, and this place my dreamscape. The martians, hard at work terraforming, barely even noticed me. The famous canals of Mars sprang up from our own lakes and streams, snaking through the streets; violet and soupy. Green-furred Martian dogs and cats frolicked up and down the once greybrown streets, marking their territory upon posts and corpses alike. This was no dream, not even a nightmare, but a waking scarcely-believable reality. "Ulla!" wailed the Martians, their deafening warcry. The screaming took possession of me. Why was I wandering alone in this city of the dead? Why was I alive when London was lying in state in its black shroud? I felt intolerably lonely, drifting from street to empty street, dawn inexorably towards that cry. I saw, over the trees on Primrose Hill, the landed saucer from which the howling came. I crossed Regents Canal, there stood a second machine, upright but as still as the first. Confection like this was integral to the Marsmen's demise. Since their arrival the invaders had drank and fed upon our burger bars, fast food outlets and sweet shops, and our calorific allies attacked them - fattened them, asphyxiated their arteries and bloated their hearts, sapped their energy and caused insulin deficiencies. From that moment on they were doomed. 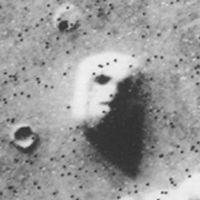 For the religious among us who choose to believe lies, the so-called experts at Wikipedia have an article about Mars. This page was last edited on 29 November 2018, at 17:56.